8 two-sided map sheets, one sheet of Cardboard Heroes miniatures. 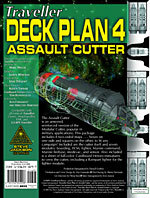 The Assault Cutter is an armored, reinforced version of the Modular Cutter, popular in military applications. This package includes 8 two-sided maps . . . hexes on one side and squares on the other, to fit any campaign! Included are the cutter itself and seven modules: boarding, ECM, fighter, Marine command, Marine firebase, medevac, and sensor. 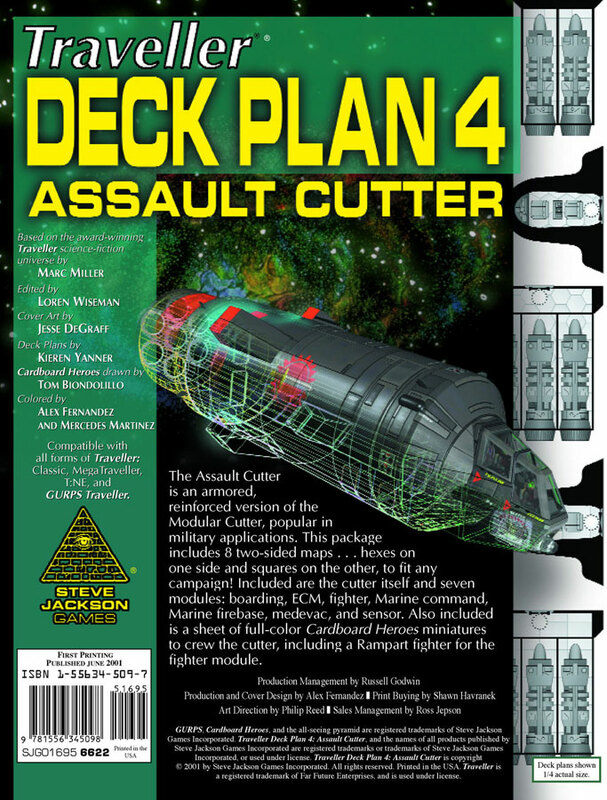 Also included is a sheet of full-color Cardboard Heroes miniatures to crew the cutter, including a Rampart fighter for the fighter module.